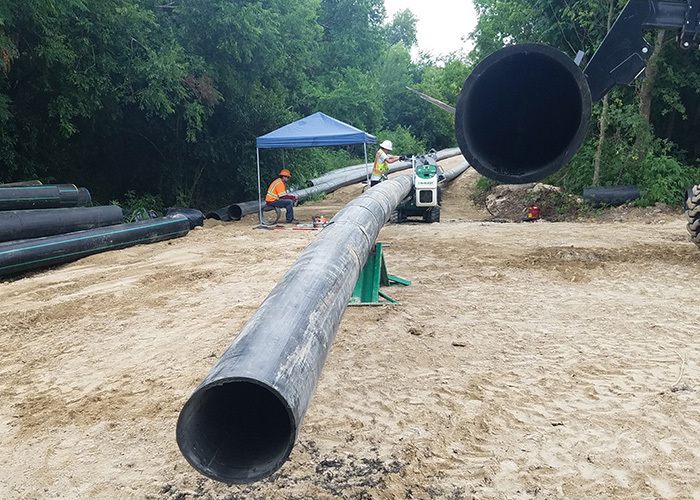 As part of the SSO Program, rehabilitation of 5.5 miles of a 30 to 42-inch diameter RCP wastewater main was necessary due to extensive corrosion and deterioration of the pipe material. The existing pipe was constructed in the early 1970s and had experienced significant corrosion due to hydrogen sulfide. As part of the EPA Consent Decree, SAWS needed to rehabilitate the line and associated manholes to reduce inflow/infiltration of this line located along Rosillo Creek. The primary objective was developing a cost effective design for the rehabilitation of the sewer line in this rural portion of the city. KFA began the project with the preparation of a Preliminary Engineering Report that would establish recommended construction methods, and discuss access and environmental issues. 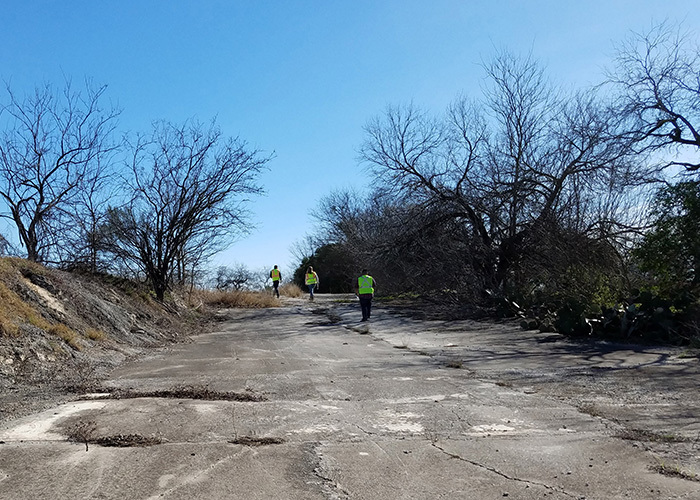 The existing alignment is in a rural part of Bexar County and crosses 33 separate parcels, making property owner coordination a challenging aspect of the project. KFA evaluated the CCTV and confirmed that the line was suitable for rehabilitation using CIPP. The project’s remote location created logistical challenges. The existing line was located on a creek in an easement that had been poorly maintained since the original installation in the early 1970s. Construction access and working space was a significant project challenge. 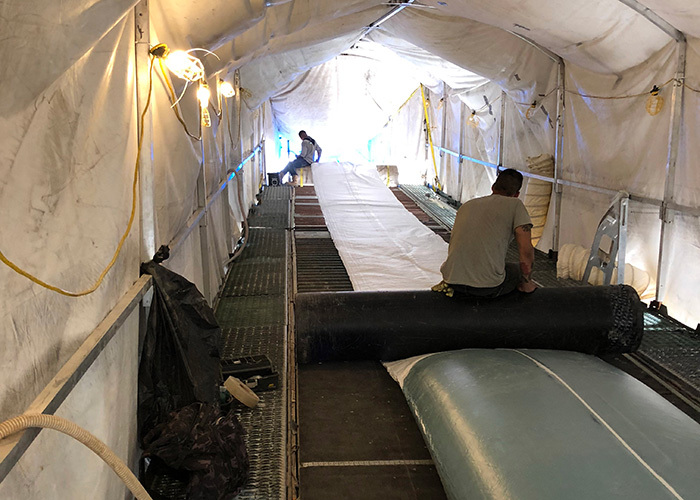 Due to the pipe diameter, depth, and length between manholes, the CIPP liners needed to be transported to the site in tractor trailers. Most of the pipeline was located immediately adjacent to the creek, which flooded regularly. KFA staff managed archaeological/environmental, survey, and QA/QC subconsultants, developed the project schedule, wrote the PER, prepared the cost estimate and led all meetings with SAWS. 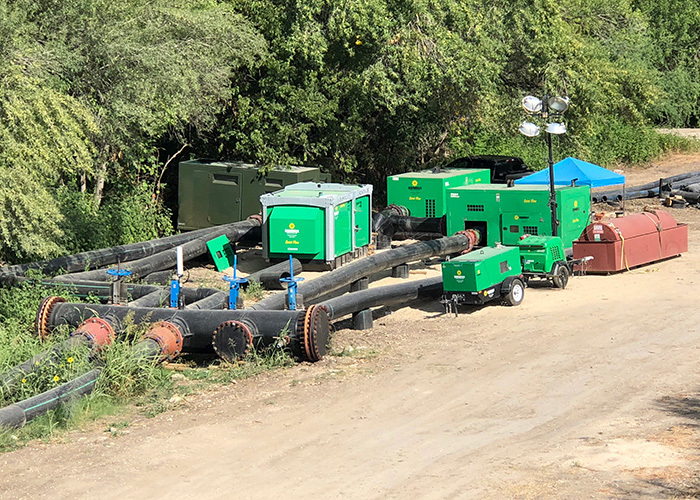 KFA coordinated with city of San Antonio Stormwater and Bexar County Public Works for floodplain development permits and city of San Antonio and TxDOT for ROW permits. Rehabilitation of this heavily deteriorated large diameter collection main was an integral part of the SAWS SSO Program. KFA took many steps to ensure that the design would allow contractors to bid the project as cost effectively as possible. This included negotiating a flexible tree clearing permit with the City of San Antonio to allow Contractors to make decisions on the ground about the exact location of their haul road/access routes, and the creation of temporary construction easements to allow Contractors flexibility in accessing the existing pipeline to reduce clearing and access road construction to this rural setting. Rehabilitation was necessary of 5.54 miles of a RCP wastewater main that was in poor condition. 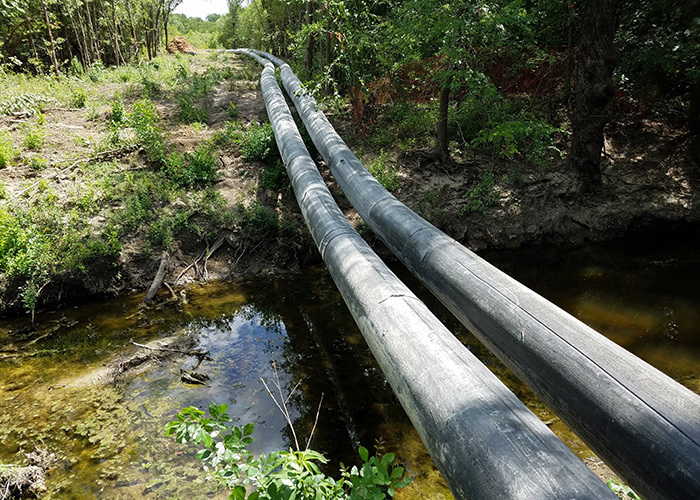 The existing pipe was constructed in the early 1970s and had experienced significant corrosion due to hydrogen sulfide. 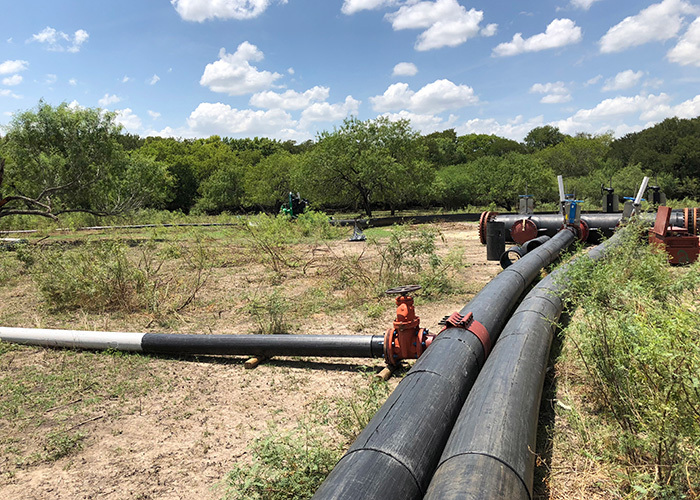 KFA coordinated with city of San Antonio Stormwater and Bexar County Public Works for floodplain development permits and city of San Antonio and TxDOT for ROW permits.